Over the years, we have worked with youth clubs, arts initiatives, uniformed organisations, specialist projects and many more. The centre sits in a quiet rural area – away from shops and other distractions and has been designed to be a comfortable and homely place to stay. There is no TV, but plenty of space both inside and out to give groups the chance to experience a different side of life. Visiting groups have exclusive use of the centre and all its facilities during their stay. 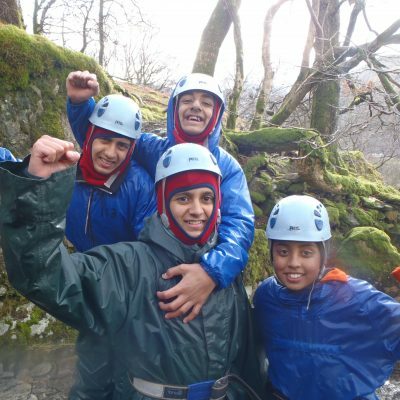 The centre offers a flexible range of activities, aiming to fit with the needs and goals of your group. We can offer a complete instructor-led outdoor activity course, bespoke sessions to link with your own programme, or just provide you with a base to doing your own thing. If you are a voluntary youth club in Lancashire or Greater Manchester and affiliated to the network of Boys and Girls Clubs we may be able to offer you reduced rates. Please enquire for more details.